Hello, everyone! Woohoo it's Friday! Although were still in winter mode, I can't wait for spring to come. 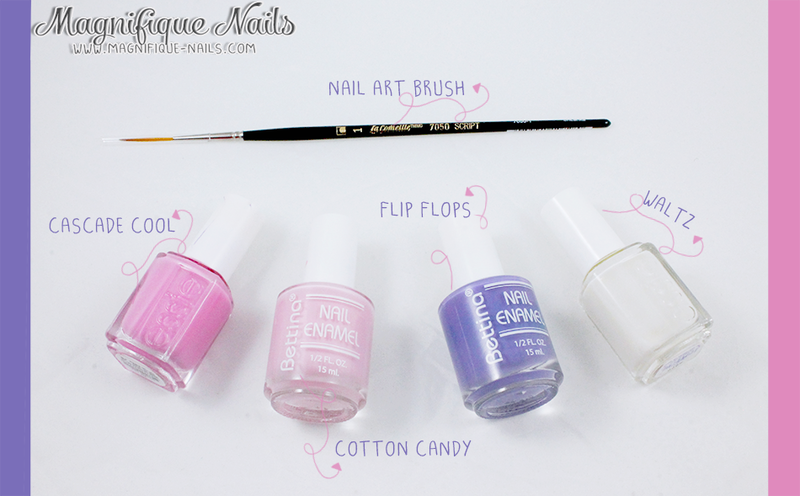 And when thinking of spring, pastels are always the go to shades. 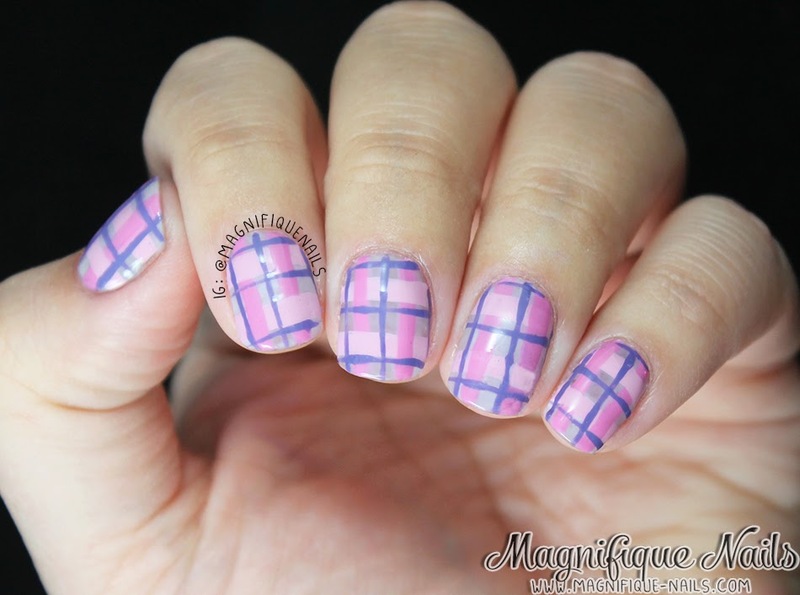 So when thinking of a nail art design to do, my very first thought were plaids. Normally, plaids are always done during the Fall, so why not brighten it up a bit. 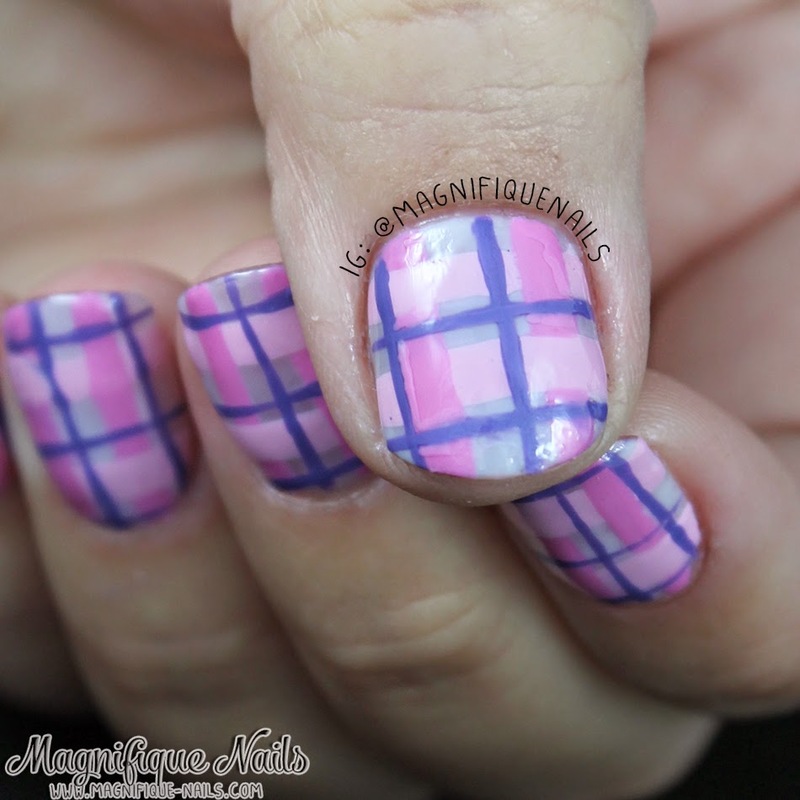 Now there are tons of plaid nail art tutorials out there. 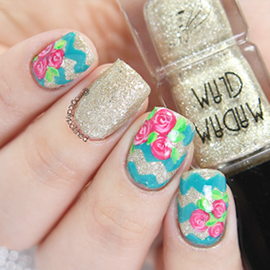 But I thought to share you guys, how to accomplish this look, by doing a tutorial: here. These were super easy and fun to do, hopefully all of you guys like them! Plaids are so much fun. They're very simple and easy to create. The best part, they all don't have to look the same! For this look, started off with two coat Essie Waltz. I honestly thought it was a solid white creme, but oh no...it turned to be a milky white jelly. It's definitely a sheer polish, which I never worn until now. I wanted the sheer look for the base, so this shade was perfect. Now the stripes, using a stripping brush, I created the first two vertical lines with Essie Cascade Tool. 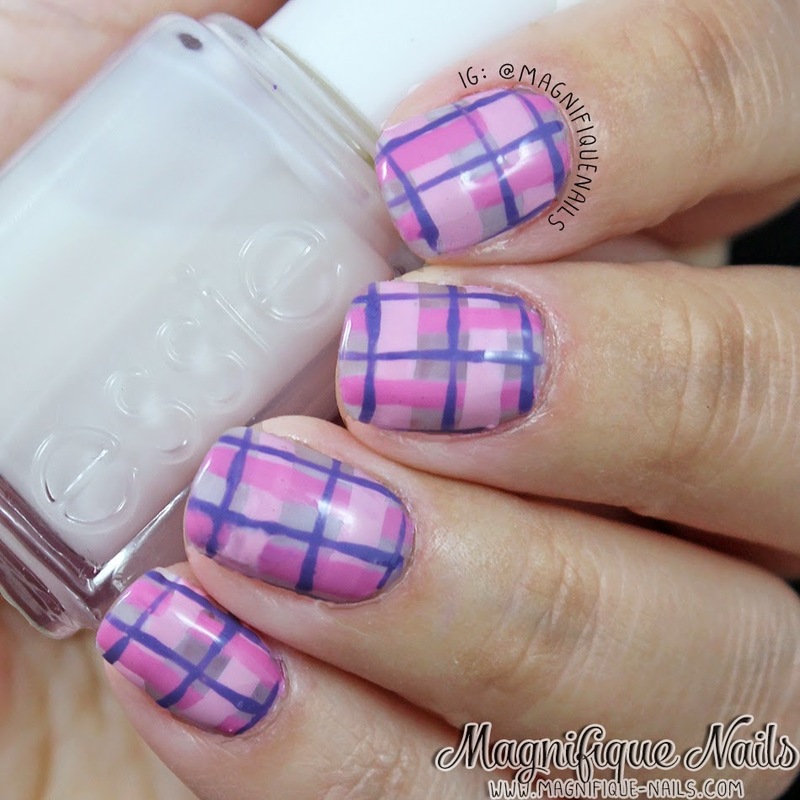 Next, I drew two horizontal lines, overlapping Essie Cascade Tool. More or less creating a basket look (if that makes any sense). I used Bettina Cotton Candy; a very light pink. I then drew a single horizontal and vertical line, with Bettina Flip Flops; a gorgeous dark purple. I lastly sealed the design with Duri- Super Fast Dry Through Top Coat, that's it! Overall, I really loved how these turned out. This was really cute and fun design to do. I hope you liked this design as much as I did and I hope you try it out for yourself! Tutorial: here.